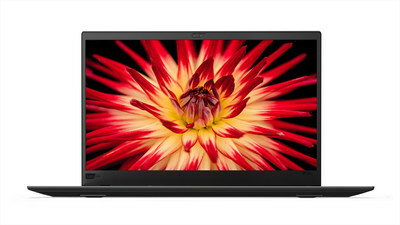 RALEIGH, N.C., March 14, 2019 /PRNewswire/ -- The technology experts at Lenovo announce the Annual Sale and Technology Deals Event. Discount prices kick off on Thursday, March 14 and continue through Wednesday, March 27. The Lenovo Annual Sale features daily and hourly doorbusters, some with pricing up to 50% off of list price. Hourly doorbusters go live beginning on March 18, 2019, making savings much sweeter. After the main sale, beginning March 21, deals on accessories and electronics from leading brands are on sale as part of the Annual Sale Technology Deals Event. This promotion features discounts exclusively on technology products, including up to 42% off of trendy smart home products. The Lenovo Annual Sale (March 14–20, 2019) includes commercial and consumer PCs and monitors. The Annual Sale Technology Deals Event (March 21–27, 2019) focuses on advancing technology and offers heavily discounted tablets, third-party products, smart home systems, and computer accessories. With the goal of always anticipating and exceeding customer expectations, Lenovo has extended the hours of the telesales team for the annual sale. Customers may call 1-855-253-6686 and speak with a sales specialist from 10 a.m. to 6 p.m. (EST) on Saturday, March 16, and from noon to 5 p.m. (EST) on Sunday, March 17. Lenovo (HKSE: 992) (ADR: LNVGY) is a US$45 billion Fortune Global 500 company and a global technology leader in driving Intelligent Transformation through smart devices and infrastructure that create the best user experience. Lenovo manufactures one of the world's widest portfolio of connected products, including smartphones (Motorola), tablets, PCs (ThinkPad, Yoga, Lenovo Legion) and workstations as well as AR/VR devices and smart home/office solutions. Lenovo's data center solutions (ThinkSystem, ThinkAgile) are creating the capacity and computing power for the connections that are changing business and society. Lenovo works to inspire the difference in everyone and build a smarter future where everyone thrives. Follow us onLinkedIn,Facebook,Twitter,Instagram,Weibo, read about the latest news via ourStoryhub, or visit our website at https://www.lenovo.com.